Iceland will try to mix it by fielding a strong but experimental side in tomorrow's friendly against Ireland in Dublin. While Wales have suffered a hangover since their exploits in France last summer, Iceland have kept the show on the road and enjoyed a decent start to the World Cup qualifiers, with three wins (Finland, Turkey and Kosovo), one draw (Ukraine) and a defeat (Croatia). 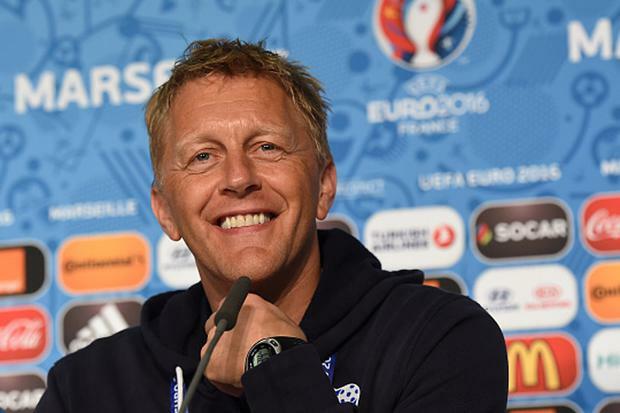 Next up for Iceland in the qualifiers is a home game with Croatia and that's already in the mind of their coach Heimir Hallgrímsson as he plans for the friendly with Ireland. "Knowing the Irish, it's always going to be a competitive game. Our next game in the qualifiers is at home to Croatia, that will be a tough, competitive game for us so this game [Ireland] is a good preparation for that one," says Hallgrímsson. "We have used friendly games after a tournament game to see the players who didn't start in the competitive games and we will continue that in some sense at least, but it will be a tough game so we we have to be careful, we can't only play inexperienced players. "It will be a tough match, it won't be a passing, friendly game, there will be battles everywhere, and I hope the players do well." Three of Iceland's key players, who picked up knocks in last week's World Cup win over Kosovo, have been sent back to their clubs and will not feature tomorrow: Arnór Ingvi Traustason, Emil Hallfreðsson and Gylfi Þór Sigurðsson.